The researchers found that cultural differences in whether or not people wanted to avoid negative emotions played a role in their expressions of sympathy. Sympathy is influenced by cultural differences, new Stanford research shows. For instance, when told about a tragedy or troubling situation, Americans of European descent are more positive in how they articulate sympathy while Germans are more direct about the negativity of the circumstance, according to Stanford psychologists. The research showed that how much people wanted to avoid negative emotion influenced their expressions of sympathy more than how negative they actually felt, wrote Stanford psychology Associate Professor Jeanne Tsai along with her co-author, Birgit Koopmann-Holm, a former Stanford doctoral student in psychology and now a lecturer at Santa Clara University. The paper, published in the Journal of Personality and Social Psychology, involved four studies investigating cultural differences in the expression of sympathy between a total of 525 American and German students in universities in the United States and Germany. • American sympathy cards contain less negative and more positive content than German sympathy cards. • Americans want to avoid negative states of mind more than Germans do. • Cultural differences in how much people want to avoid negative emotions play a key role in how Americans and Germans feel about focusing on the negative rather than the positive when expressing sympathy. • When people desire to avoid negative emotions, they focus less on the negative and more on the positive when responding to another person’s suffering. One study asked participants to imagine that the father of one of their acquaintances just died, and they know she is extremely sad. 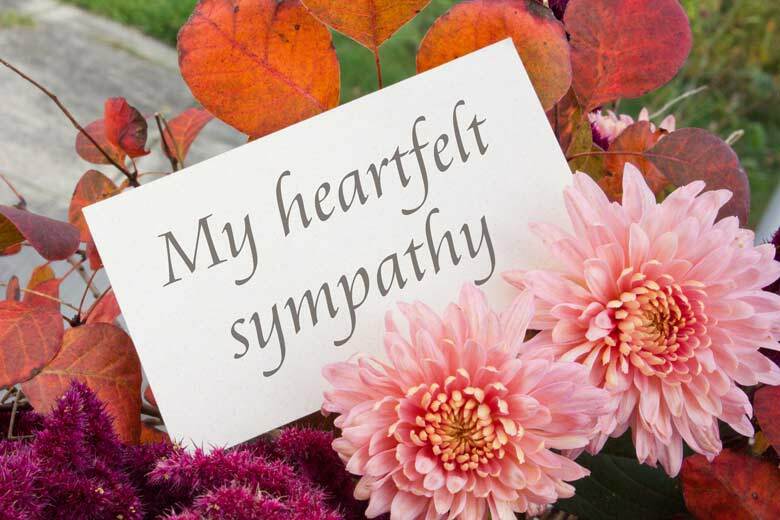 What type of sympathy card do they send? Participants were asked to fill out surveys about the emotions they actually felt, the emotions they wanted to avoid, and about how they rated and chose sympathy cards. Tsai, who directs the Culture and Emotion Lab at Stanford, noted that research shows that Americans tend to emphasize the positive when faced with tragedy or life-threatening situations. American culture arguably considers negativity, complaining and pessimism as somewhat “sinful,” she added. Unlike when Americans talk about illness, Germans primarily focus on the negative, Tsai and Koopmann-Holm wrote. For example, the “Sturm und Drang” (“Storm and Drive”) literary and musical movement in 18th-century Germany went beyond merely accepting negative emotions to actually glorifying them. “Contemporary American culture wants to avoid negative states more than contemporary German culture in part because American culture endorses a frontier spirit – achieving one’s goals, influencing one’s circumstances, overcoming nature – more than German culture does,” wrote the researchers. Tsai suggested that the research has important implications for cross-cultural counseling. “It suggests that counselors should consider the emotions that their patients – especially those who come from cultures different from their own – value,” she said. She said the findings suggest that patients who want to avoid negative emotion may prefer and respond better to a counselor who focuses more on the positive, whereas patients who are more accepting of negative emotion may prefer and respond better to a counselor who focuses more on the negative. Tsai added that treatments and interventions that focus on the positive may be less effective in cultures that are more accepting of negative emotions. Tsai said it is critical to understand cultural differences in emotional values because people live in a multicultural world. “Cultural differences in emotional values can lead to interpersonal misunderstandings, which can have unintended but detrimental consequences,” she said. Tsai said that while prior research has focused on differences between Western and East Asian cultures, this new research suggests that there are differences among Western cultures as well. “We focused on Americans and Germans, but we suspect that people from other Western countries also hold different emotional values,” she said. For Koopmann-Holm, the research had a personal connection. A German citizen, she came to Stanford for graduate studies in psychology. When she was asked by Americans how she felt being so far away, she would say she was homesick and would openly express her negative feelings in this regard. “It became clear to me after a while that in the U.S., people don’t want to talk about negative feelings as much as Germans do. Many Americans often expect people to say that they are doing ‘great’ when asked how they were doing, not ‘a little homesick’ or anything like that,” she said.